Safe Gas UK Ltd are a trusted and professionally run company dedicated to the highest standards in every aspect of performance, with over 17 years experience in the trade. Safe Gas UK Ltd are based in Swindon, and cover all of Greater Manchester. Safe Gas UK Ltd can undertake all your Heating and gas work and, as we are Gas Safe registered and fully insured, our service provides the safest solutions and the highest quality standard of work. We consider no job as too big or too small for us, and always aim to exceed your expectations. 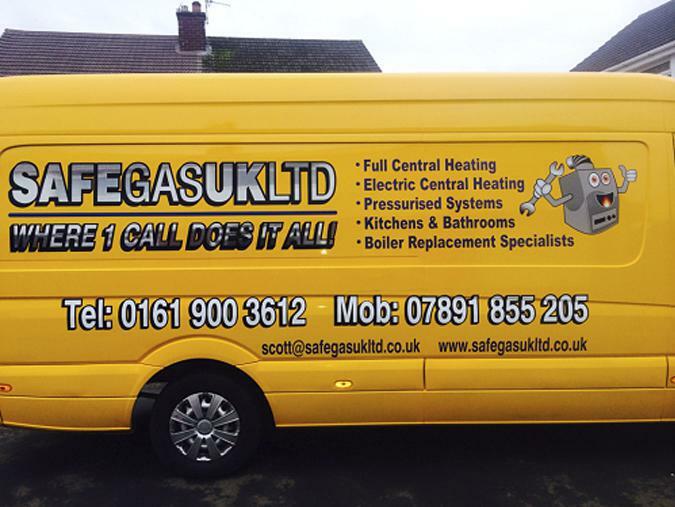 Here at Safe Gas Uk Ltd we specialise in Boiler Replacement and Central Heating. If you have a old gas guzzling boiler we can replace this, with an A rated baxi condensing which comes with a 7 year manufactures guarantee. We offer free, non obligatory quotes and estimates. All major credit and debit cards accepted. "We have spent 12 months with our old boiler on the way out and three of them boiling pans for baths , all because we were scared of being ripped off with our very limited bit of savings and then we found this company and we've had a new Worcester combi boiler and a shower fitted for an amazing price ! On turning up at our home to leaving the two lads who installed were efficient ,friendly and most important they left my home spotless , i was shown in detail how to use both the shower and our new wireless boiler and they so kindly set my bath straight and sealed round it even though it was not on there job list, for this i am so very grateful to them . An honest and reliable firm that i wont hesitate to recommend how fair priced and good they are !" "I used Scott's company a few years ago when I replaced my mum's boiler. I required a new boiler and also new radiators recently so knew where to go! Scott was great at arranging this as I had a tight deadline as was getting carpets fitted on a certain date. Just prior to getting the new boiler, my old one fell in to difficulty and Scott was very kind to help talk/text to me how to fix the problem as it was a simple fault. This was much appreciated as I was stuck in a cold house with a toddler at the time. The team were professional and worked very hard and cleaned up after themselves and the customer care afterwards with a follow up call was a bonus. Thank you! I shall definatley recommend the company and continue to use their services in the future." 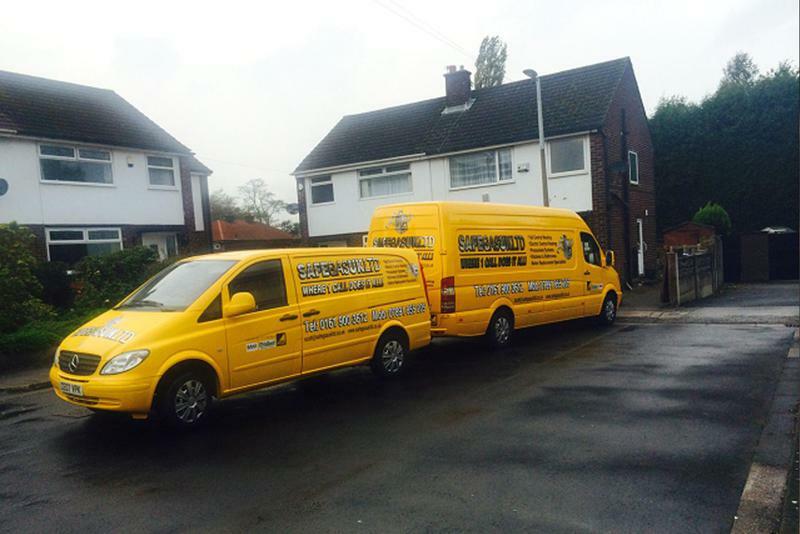 "I was very fortunate to come across this company whilst looking for a new boiler for my Parents. Scott was very informative and pleasant to deal with. The work was booked and the engineer turned up on time, kept me informed of what he was doing all the way, checked everything was OK and cleaned up after himself. We did have one small issue where one radiator in the bedroom was not getting hot. I rang Scott and spoke to him and he advised me what to check. I checked but no improvement so he sent another engineer out free of charge who solved the problem within 5 minutes of him being here. It was nothing Gas Safe had done but just needed to open a valve on the radiator a little more to balance the system. Anyway everything is working fine now and my Parents are very cosy and very happy. I would have no hesitation in recommending this company because as well as the great service their price was the best out there. Well done guys and keep it up. A very happy customer." "Very satisfied with replacing old boiler for new combi boiler. All completed in one day, didn't even stop to eat! Price as quoted and much less than British Gas and done in half the time. Pleasant people to have around and would not hesitate to recommend them."